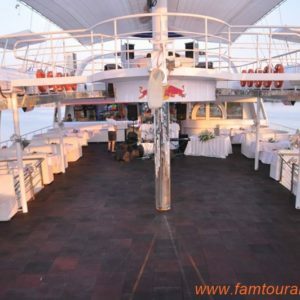 Starcraft Deluxe Daily Boat Tour is a luxury alternative to the regular daily boat tours that we offer in Alanya. Discover the famous sea grottos of the Phosphorus Cave, the Lover’s Cave and the Maiden’s Cave.This is where pirates used to imprison their female captives! 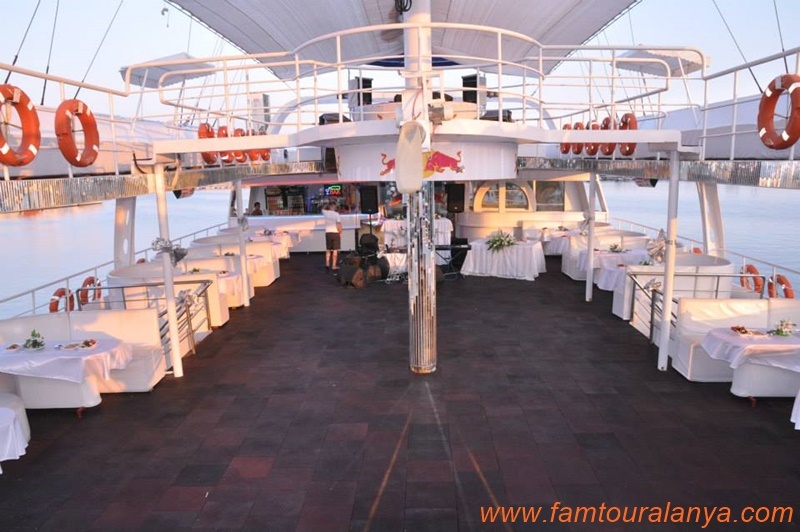 From here the boat sails towards the new marina where you will stop for a sumptuous barbecue lunch. 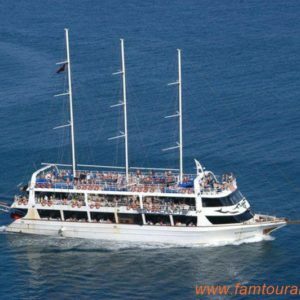 During the tour the boat stops 3-4 times for swimming in beautiful turquoise sea. If You’re lucky You’ll see the dolphins and sea turtles. Foam party on the boat with animations is also one part of the program. 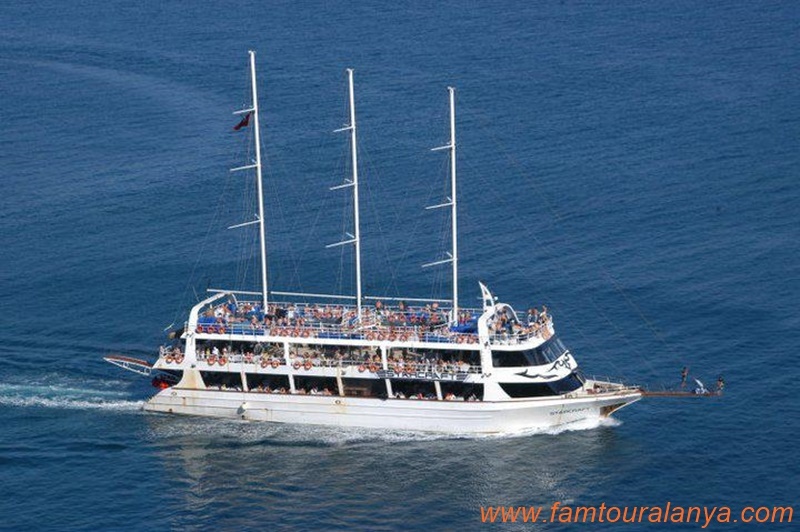 Starcraft deluxe boat trip is one of the things You schould do on Your holidays in Alanya. It’s a great tour for all ages! Mahmutlar:08:50am – Obagöl :09:20am – Alanya Centrum between:09:40 to 10:00 am – Konaklı:09:00 am – Turkler:08:40 am.